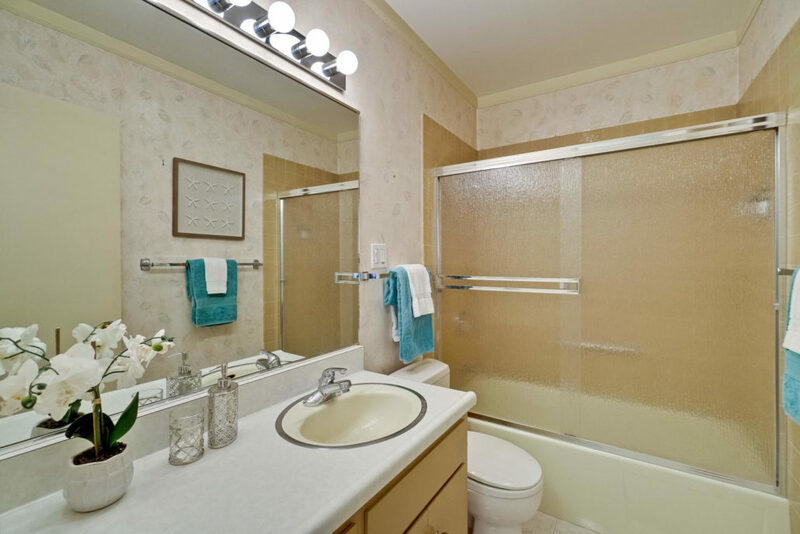 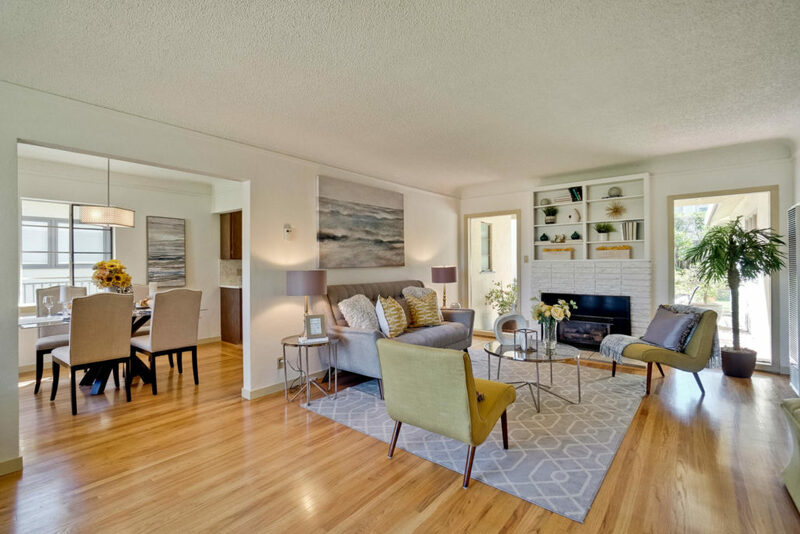 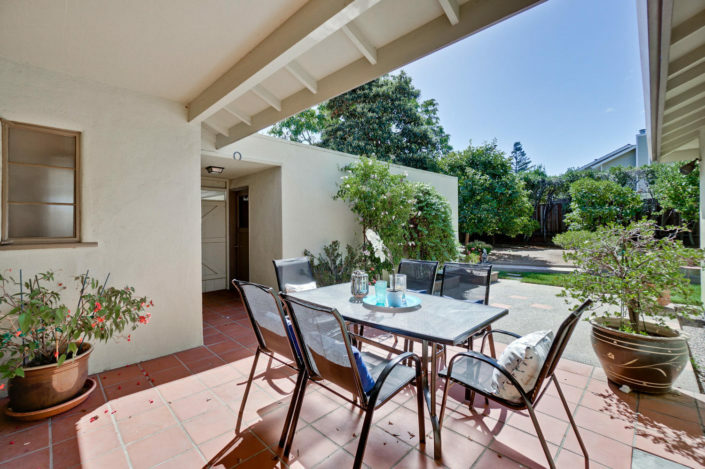 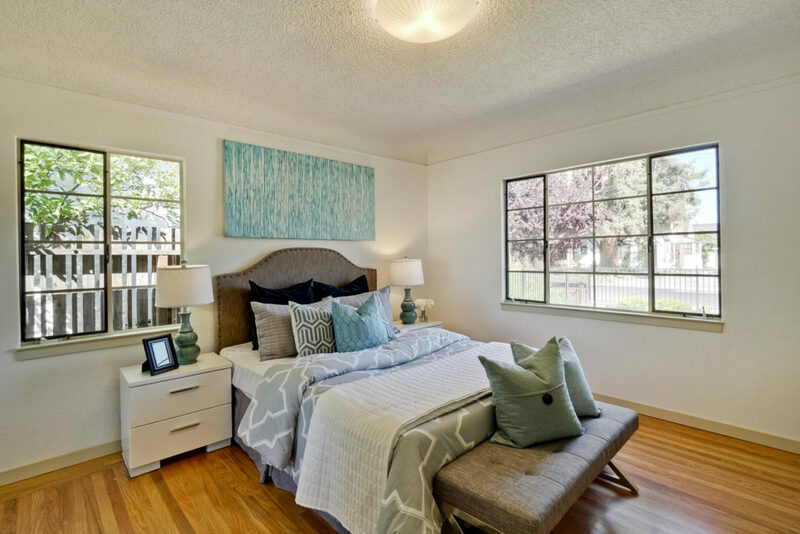 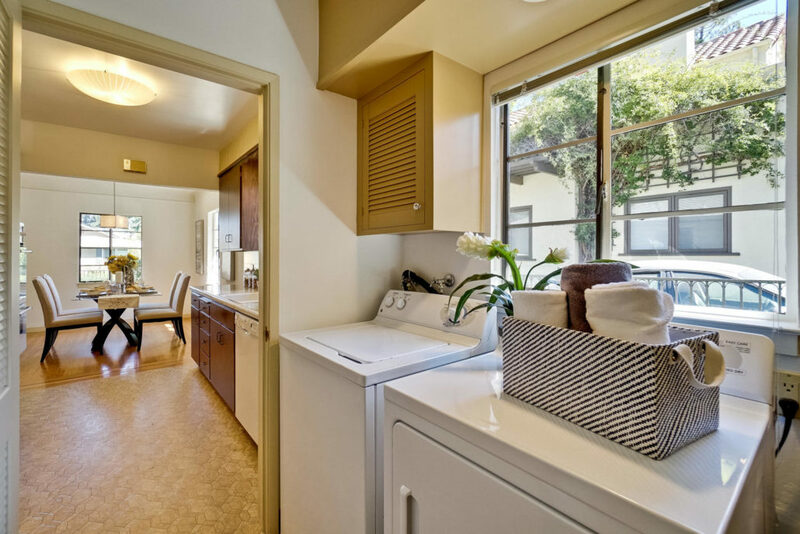 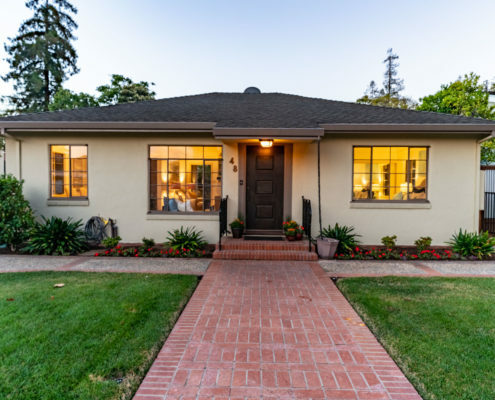 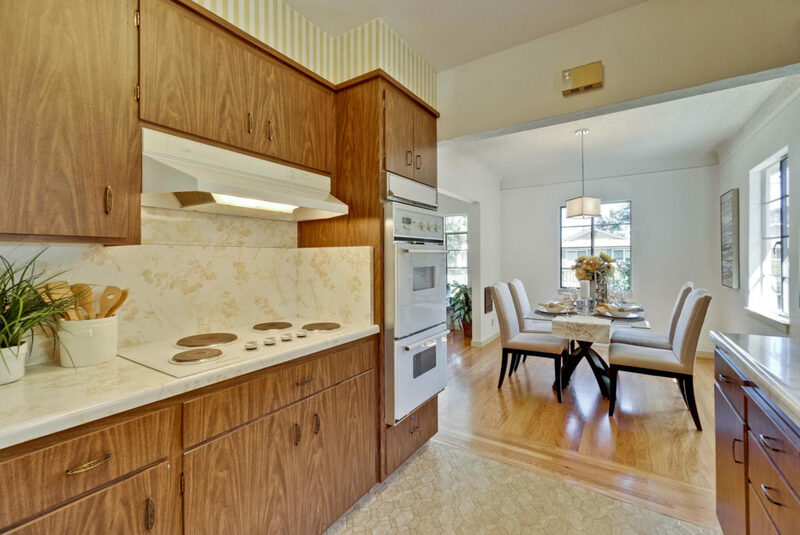 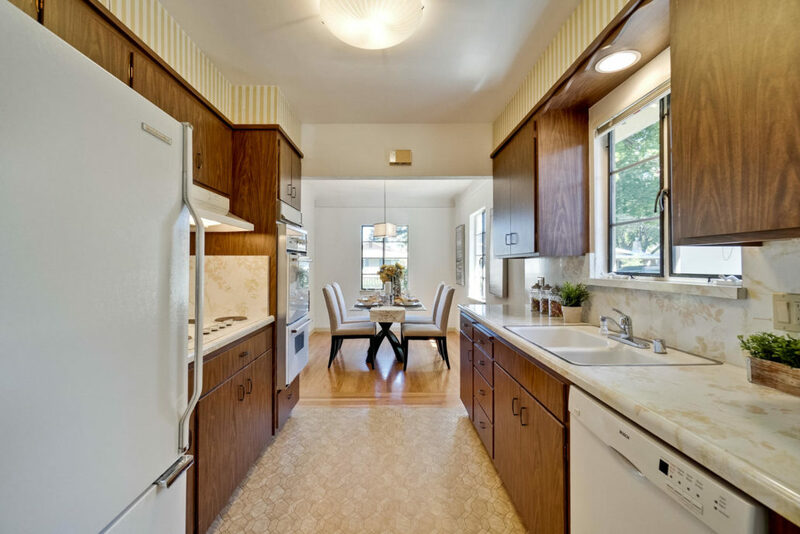 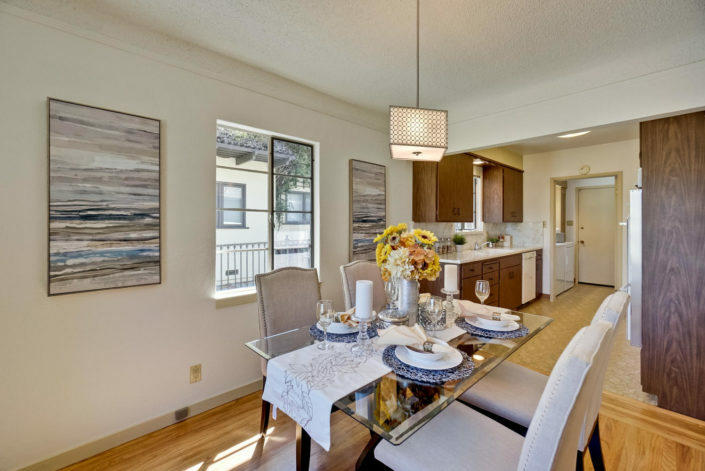 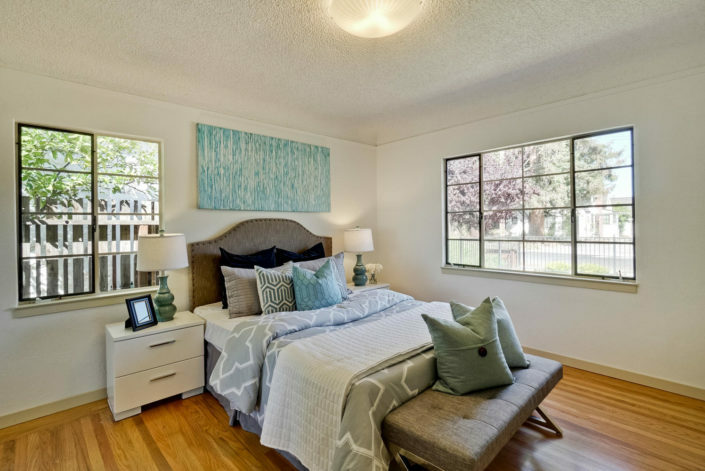 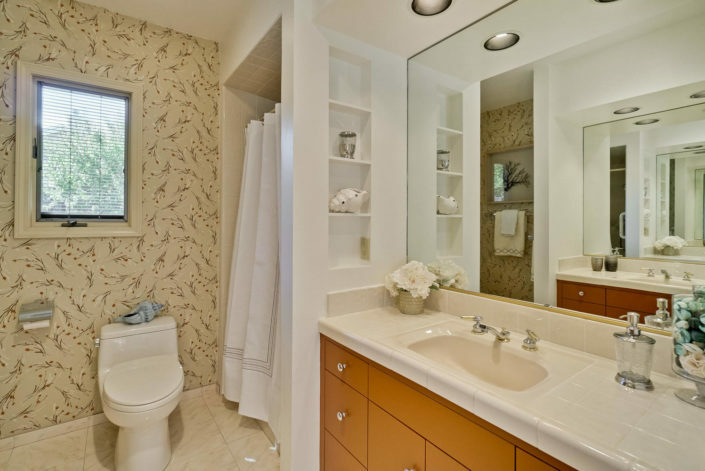 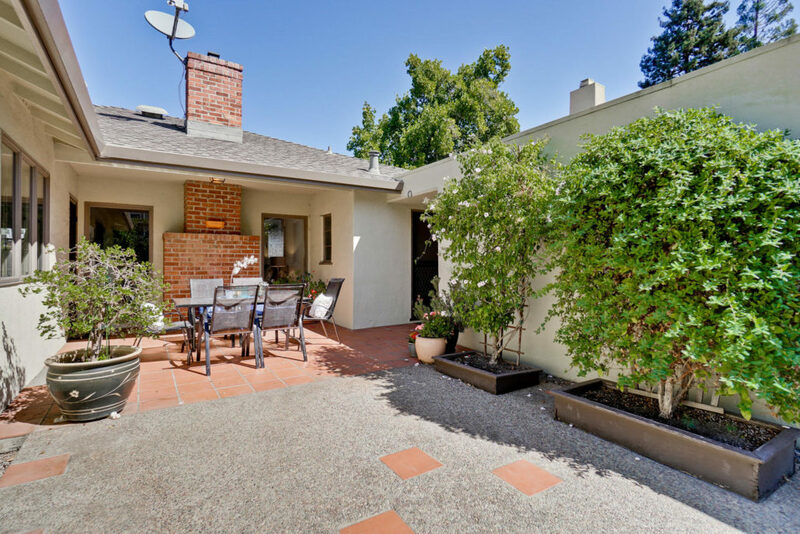 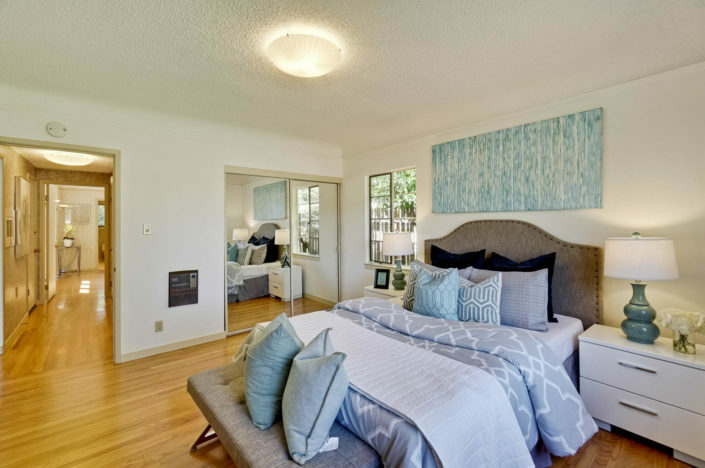 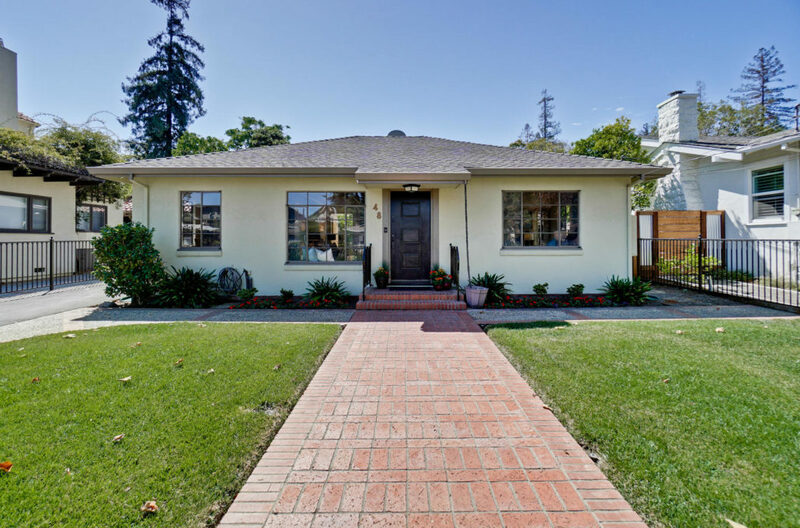 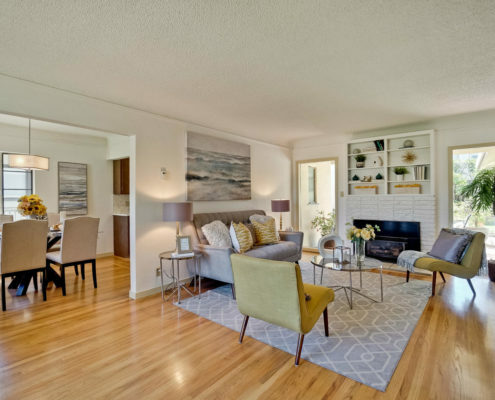 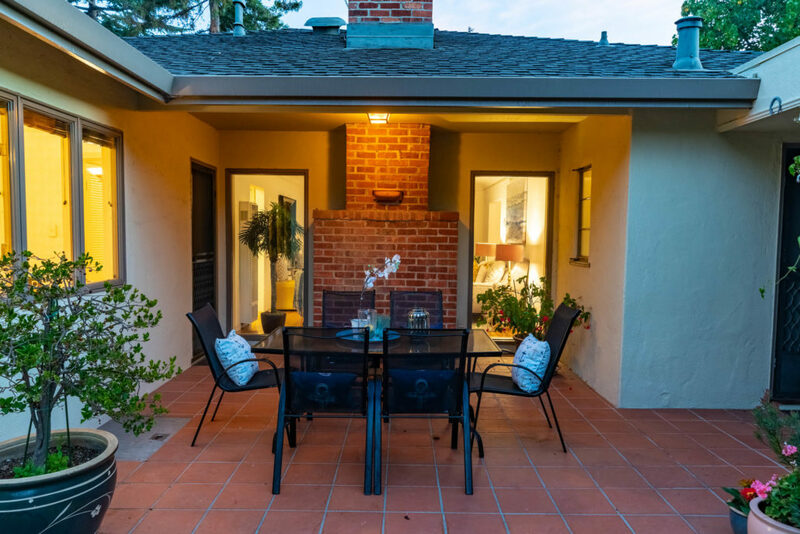 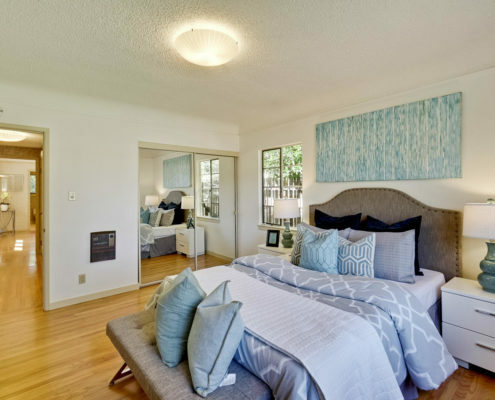 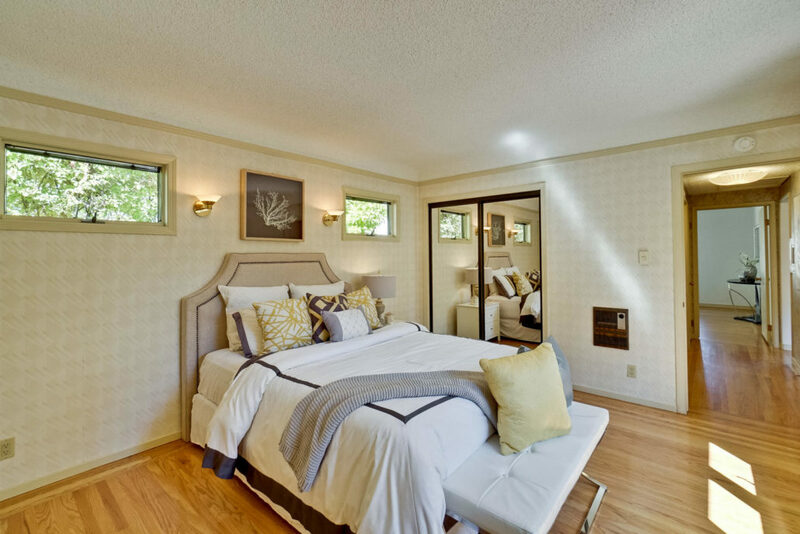 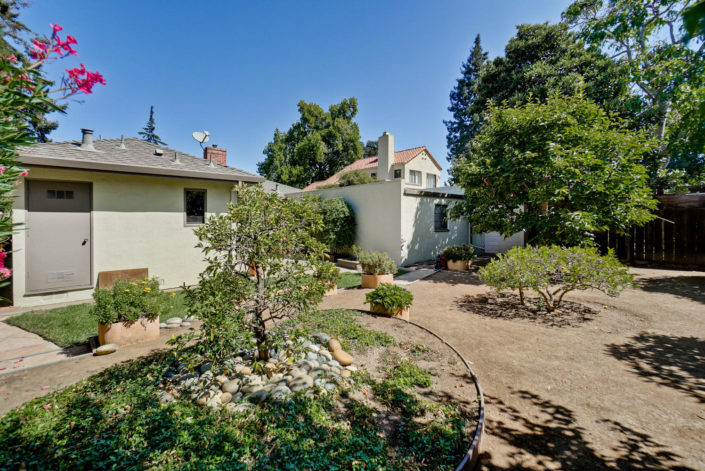 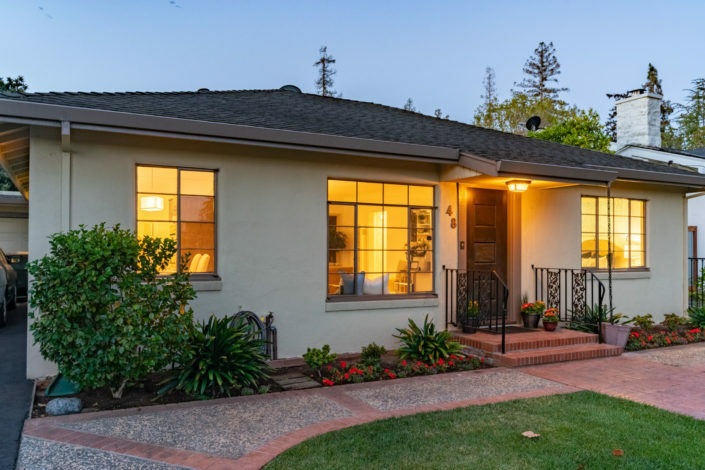 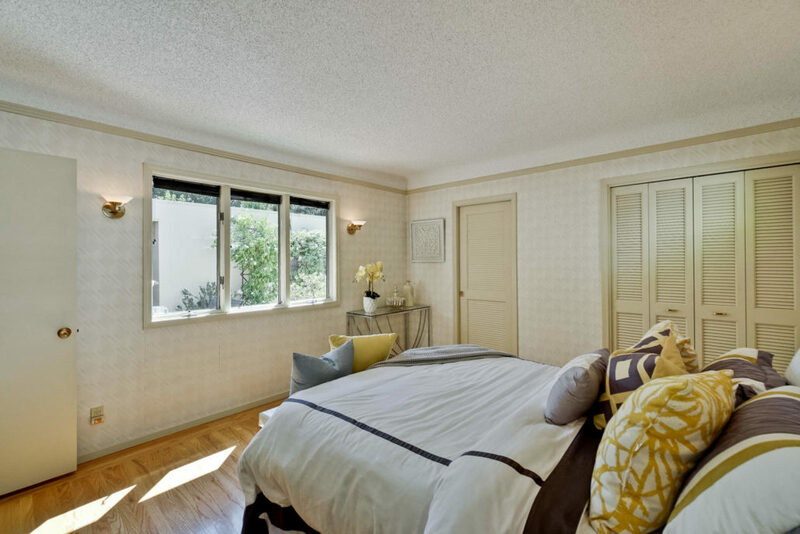 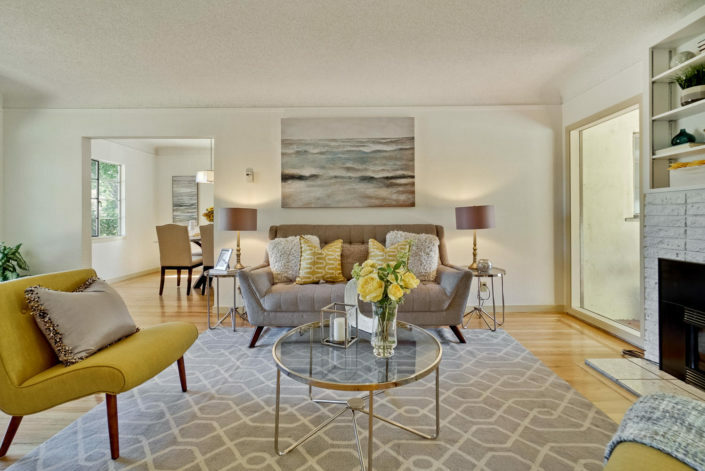 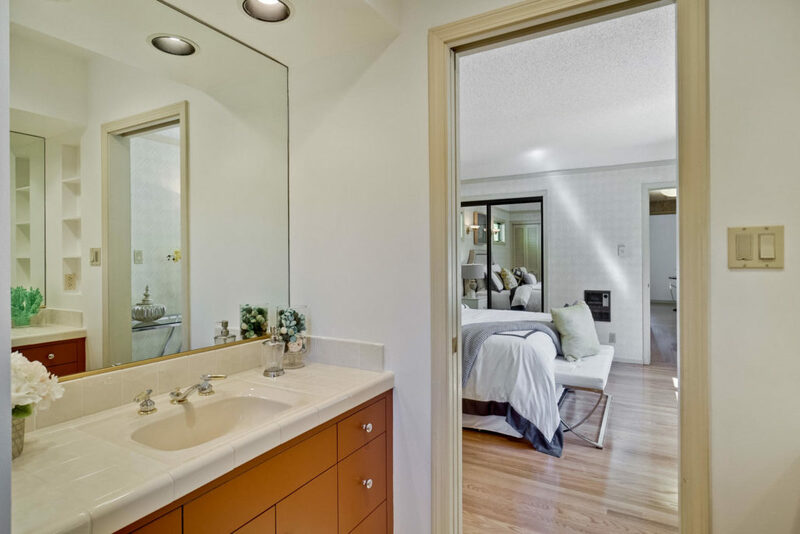 This charming 2-bedroom, 2.25 bath home was constructed in 1948 and is situated on a treelined street in North Los Altos, just a short distance from downtown Los Altos and the new Village at San Antonio Center. 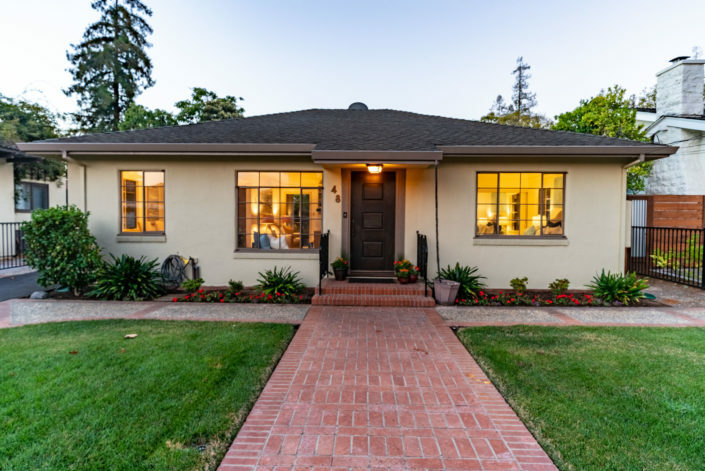 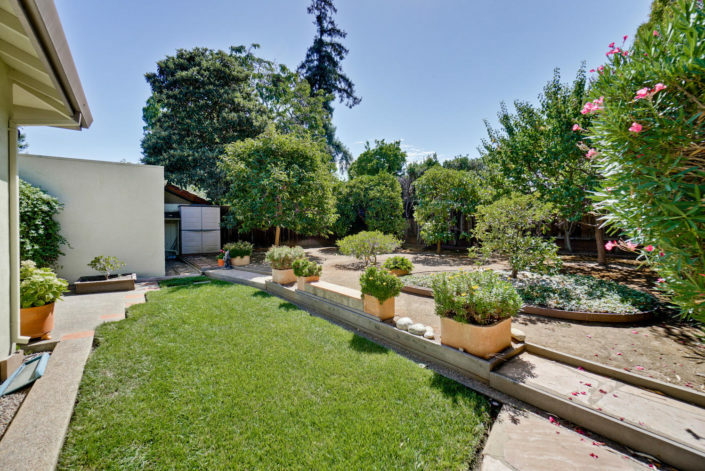 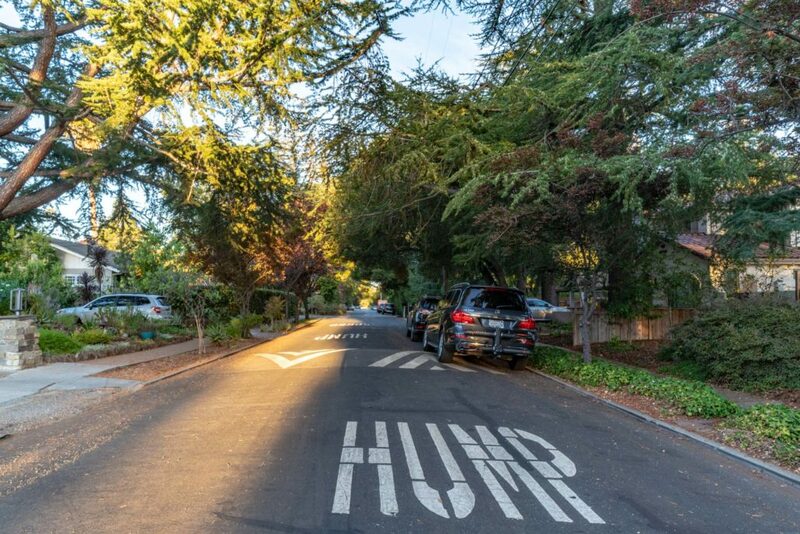 For growing families, Santa Rita Elementary, Bullis Charter School and Egan Junior High are only a few blocks from this home, with Los Altos High School only about a mile away. 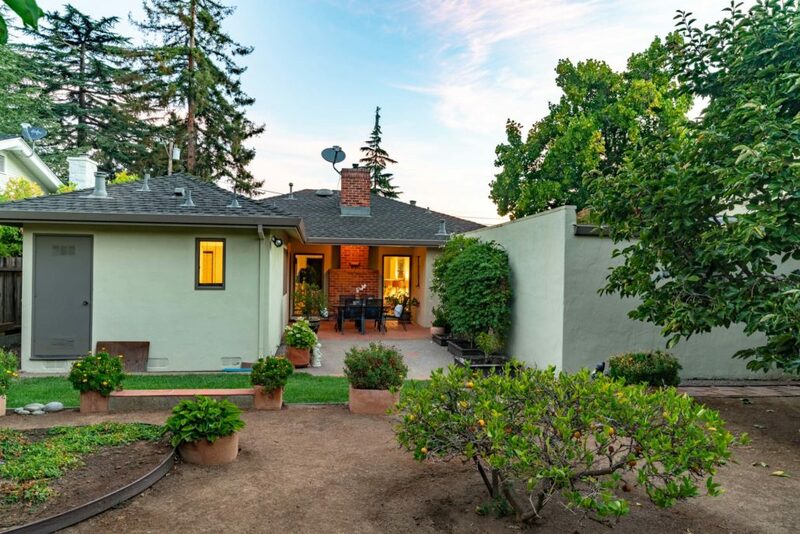 Many are attracted to Los Altos for its rural feel and relative low density when compared with neighboring cities. 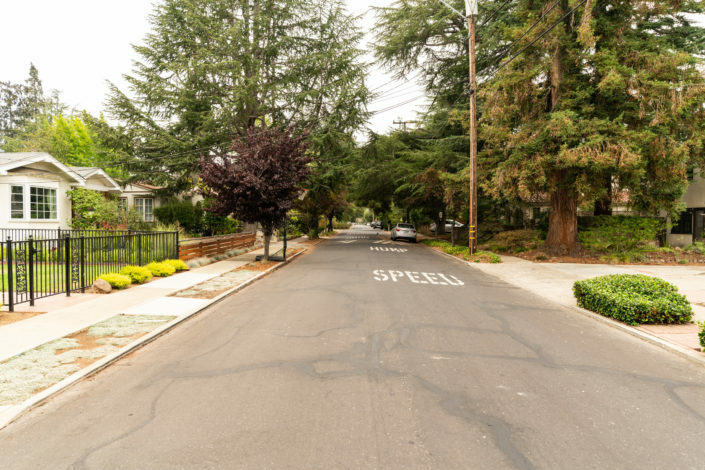 The larger lot sizes, minimal industry and the absence of large public venues results in less traffic and overall congestion relative to much of Silicon Valley. 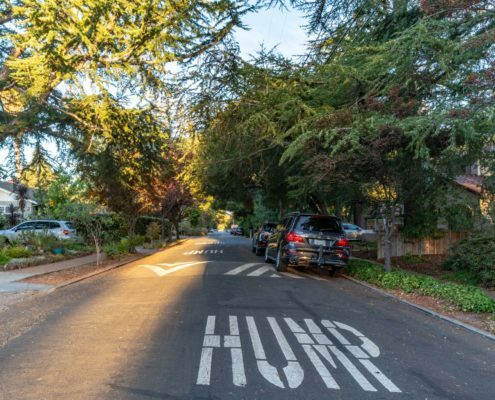 Despite Los Altos’ rural interior, the town offers a superior commute to some of the Bay Area’s most notable high-tech employers, like Google, Facebook and Apple Computer. 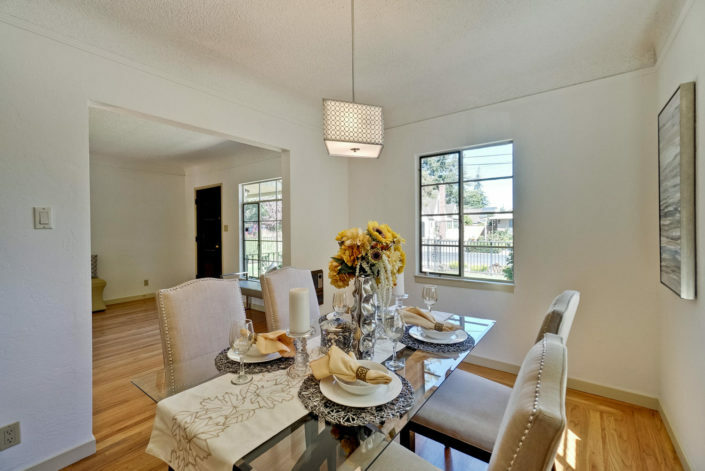 The home enjoys an attractive open floor plan, in which the dining room, kitchen and living room flow into one another, enhancing day to day living and entertaining. 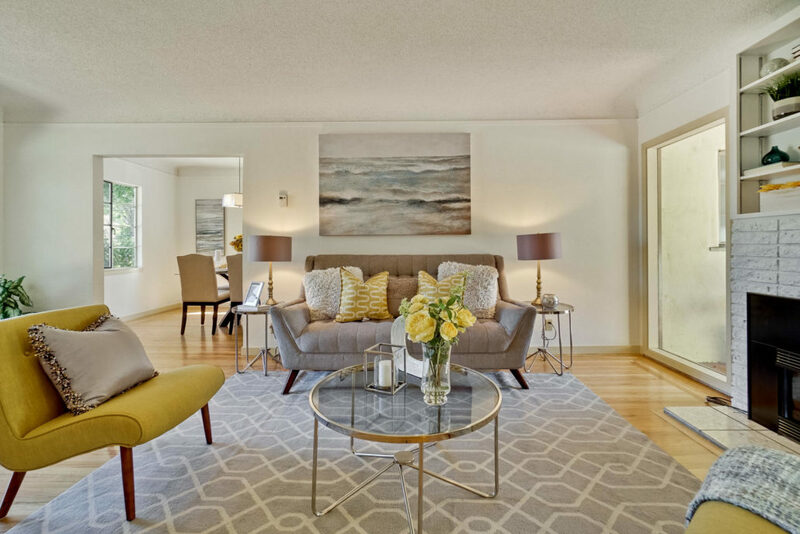 This central living area is surrounded on three sides by windows and is flooded with natural light. 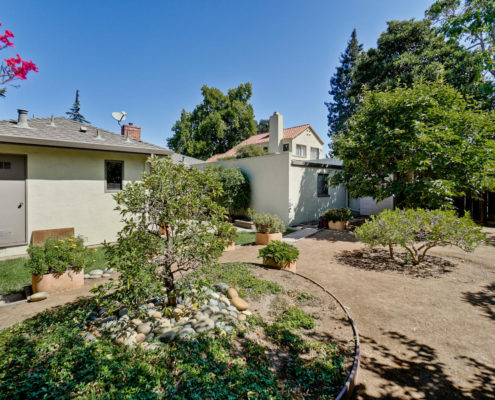 The abundant windows look out on a backyard full of mature fruit trees and the front yard, with its inviting tree-scape and sidewalk. 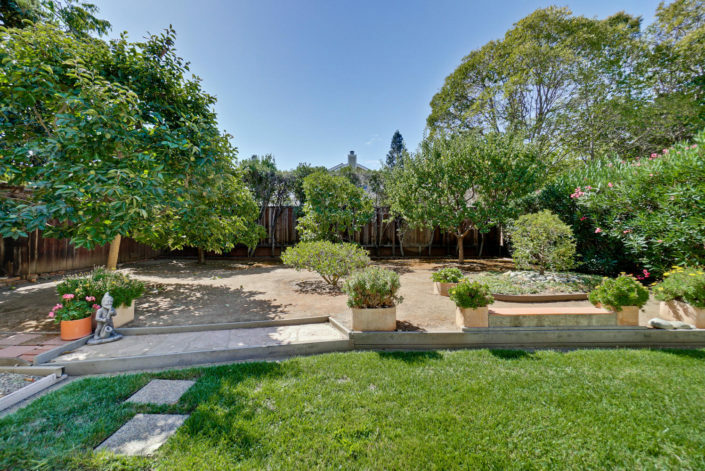 The rear yard offers a large patio area, which makes for a great venue for dining, entertaining or simply reading a book and the mature fruit trees offer a great means for sustainable living. 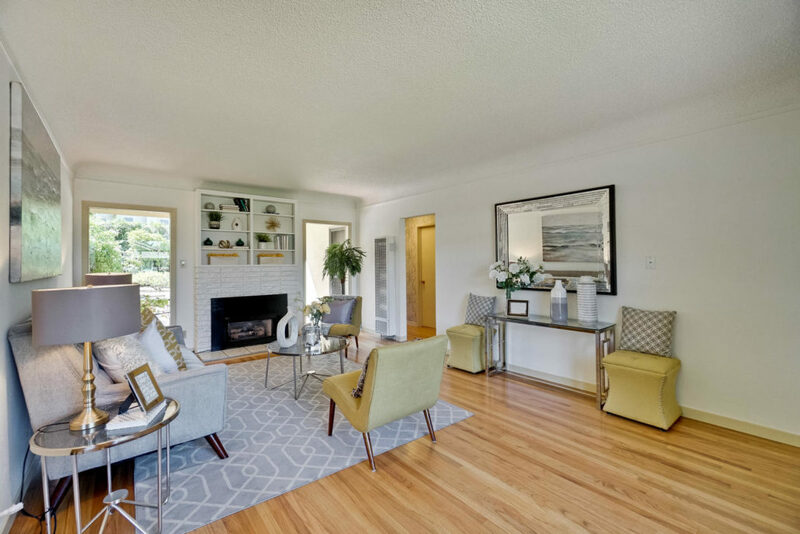 Welcome Home with Rick and Suzanne!